Apparently, the Oscar- and Grammy-winner doesn’t just love Denver, he loves dogs! 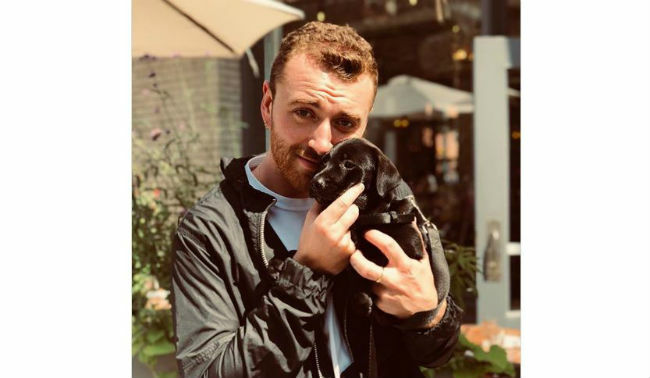 British pop star Sam Smith is in Denver this week (his show’s tonight at 8 p.m., as a matter of fact) and he’s enjoying the beautiful terrain, lovely Rocky Mountain summer weather and of course, meandering the city. And guess what, Colorado? He loves it! Because as the Oscar- and Grammy-winning crooner was meandering the neighborhoods enjoying the exploration, he took time out to cuddle a random stranger’s dog and post it to his Instagram account! We totally get it, Sam!